Tampa City Ballet serves the community by creating unique performances and providing high-quality arts education. Our goal is to positively change lives through the power of dance. Tampa City Ballet's (TCB) long term vision is "building bridges, creating bonds and inspiring hope through dance." By fulfilling its mission of providing the community with stunning and accessible performances, educational outreach programs that provide underserved children with high-quality arts education, Tampa City Ballet will help expand the artistic footprint of Tampa Bay locally and globally. 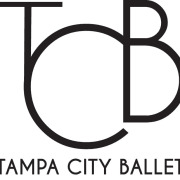 Would you recommend TAMPA CITY BALLET INC?